I love the way the Purex Natural Elements Tropical Splash hypoallergenic laundry detergent left our clothes smelling, especially out sheets and bath towels. It made me want to curl up inside them and breathe in the tropical paradise! This giveaway will end May 22nd at Midnight EST. Disclaimer: I received complimentary Purex Natural Elements Tropical Splash Laundry Detergent as a Purex Insider for the purpose of writing a review and hosting a giveaway. Regardless, I only recommend products or services I use personally and/or believe will be a good fit for my readers. The views and opinions expressed on this blog are purely my own. Results may vary. No monetary compensation was received. Purex with Oxi, would love to try the new tropical scentsations. I like Purex with Zout. My very favorite Purex product is Purex Crystals for baby. I'm just absolutely in love with them!! I have no babies in the house, yet I use them with every load!! I would like to try Purex Ultra Pacs. I'd like to try the Purex Plus Fabric Softener. I'd like to try the Purex Classic Dry powder. Visit Purex and tell me which product is your favorite or which one you would most like to try! I like the Purex plus Oxi. I love Purex Crystals! But I also love the Purex Detergent -- I've used it over 40 yrs. I have not yet tried the Purex Crystals but I would really like to!! I really like the Purex Crystals in Lavender, and I am using Purex with Zout right now to wash. I would love to try their crystals. I love the lavender crystals! I would like to try out the Ultra Packs. We are big fan of Purex laundry soap. Thanks for the chance. 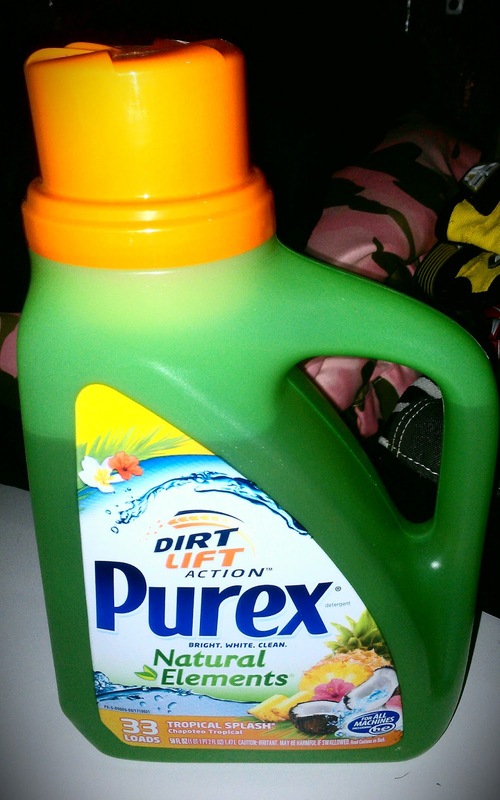 we love the Purex Free and Clear! I would like to try the Purex plus Oxi. I'd like to try the Classic Sensitive Skin laundry detergent. I'd like to try the Purex Fabric Softener Dryer Sheets in Sweet Lavender scent. I like Purex Crystals, but I haven't tried Purex for Baby yet. purex power packs are my fav and would love to try purex crystals. I Would like to try the Purex free and Clear. Would love to try the Linen and Lillies Natural Elements detergent!